In case you cannot see it clearly, I will allow David Brinn of the Jerusalem Post to explain. 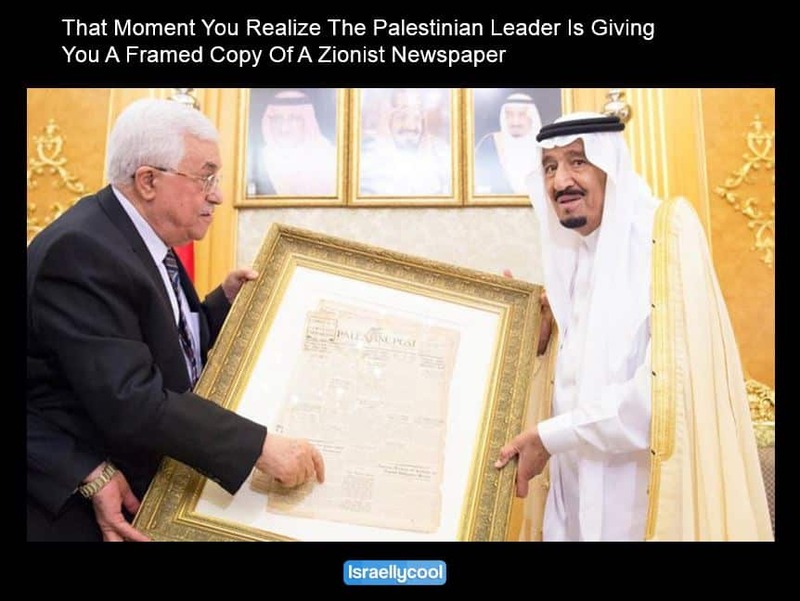 He should know – the Palestine Post was a precursor to the Jerusalem Post. And a Zionist newspaper! An English-language daily established in Jerusalem in 1932 as part of a Zionist-Jewish initiative. In 1950 its name was changed to The Jerusalem Post and it continues to be published under that name to this day. The newspaper’s intended audience was English readers in Palestine and nearby regions — British Mandate officials, local Jews and Arabs, Jewish readers abroad, tourists, and Christian pilgrims. Zionist institutions considered the newspaper one of the most effective means of exerting influence on the British authorities. The Post’s first issue had a 1,200-copy run, but during its first year it achieved a daily circulation of close to 4,000 copies. Its circulation continued to grow, reaching a peak of 50,000 in 1944. On February 1948 the building housing the Post’s editorial offices in Jerusalem was bombed. The Palestine Post provides a glimpse into some of the central events of the 20th century, including World War II, the Holocaust, and the development of the post-war world order. 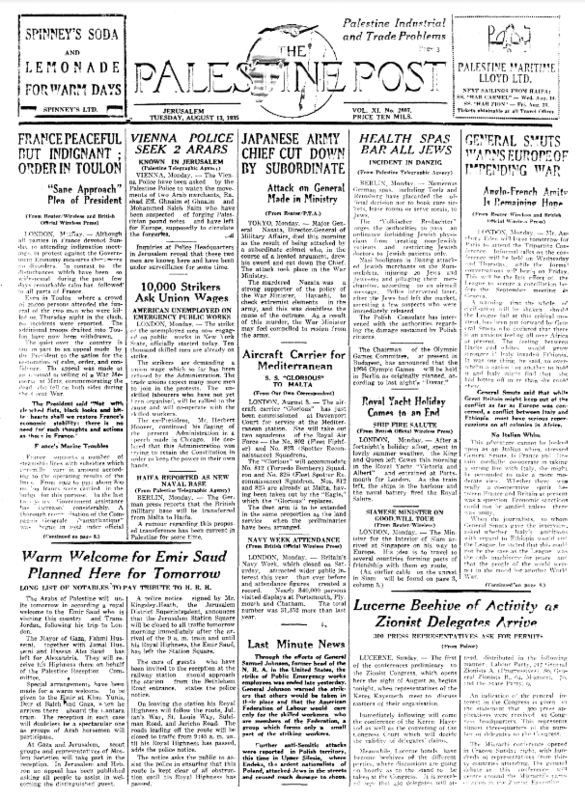 The newspaper is a rich source of information on Palestine during the British Mandate, the Zionist-Palestinian conflict, the history of the Yishuv (Jewish settlement in Palestine), the creation of the State of Israel, and the 1948 War of Independence.At the same time, the newspaper includes a wealth of information on Jewish communities throughout the world. 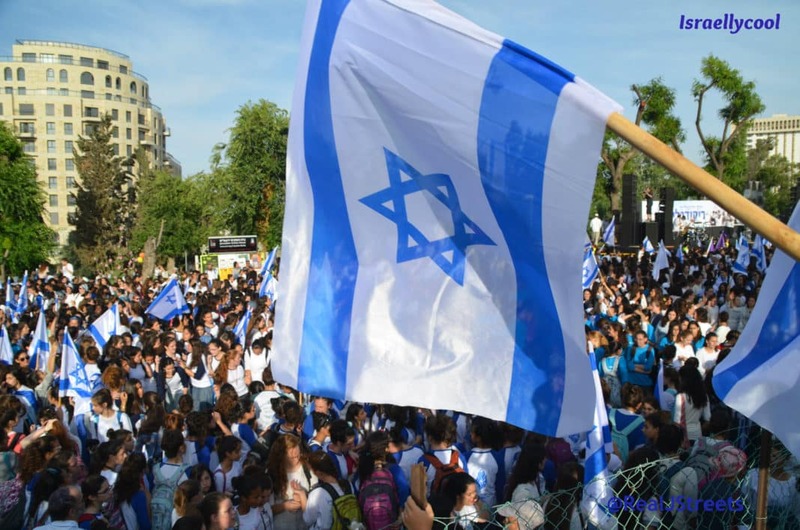 It is one thing for a bunch of Israel haters to make such a mistake. For the leader of the PA to do so? Telling. 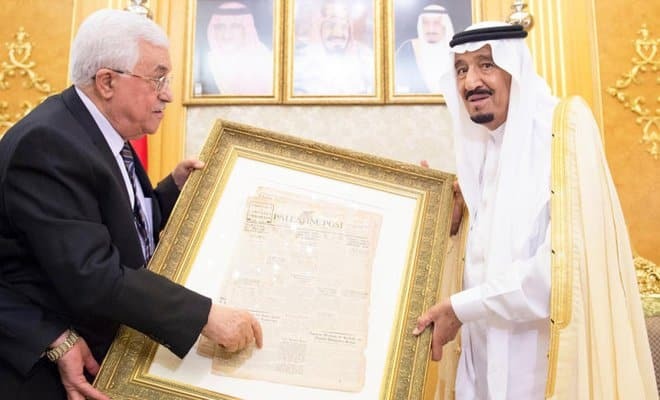 Maybe he can keep a copy in the Palestinian Museum. Update: You knew this was coming. Update: Elder of Ziyon and commenter Morey have identified it as the August 13, 1935 edition of The Palestine Post. Clearly because of the Emir Saud visit story. But look at the other stories on the page. How on earth did Abbas think this was a good idea? !